0.5 oz. 1 oz. 2 oz. 8 oz. 1 lb. 5 lb. $0.99 to $84.99 & FREE Shipping on orders over $59 $35. 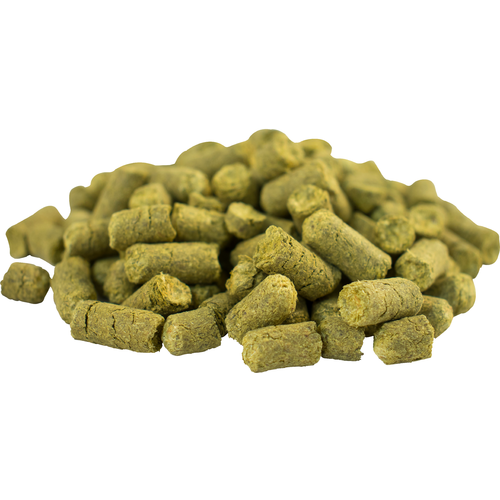 Northern Brewer hops are a traditional bittering hop with pine and mint characteristics. It is the only hop in Anchor Steam beer, where it is used for both bittering and flavor/aroma. Many, many recipes call for using Northern Brewer as a bittering hop. We find using 1 ounce when brewing five gallons provides a nice generic bitterness for a variety of beer styles. Disposable Mesh Bag - 5 in. x 15 in. Drawstring Mesh Bag - 9 in. x 12 in. These hops are for a California Common beer and Northern Brewer hops are the only hops used in this style of beer. My favorite hop for American beers. Dual purpose hop for English and German beers. because I cant get 1.5 oz from the PA location. To use in a California Common recipe. I chose this hops because I like to use it for first additions. BEST ANSWER: I am not too sure with this hop as I do not use if much but I always have my hops out of the freezer as little as possible and once I open them, I store them in foodsaver bags vacuum sealed. I generally have hops in my freezer for over a year. If I do use hops over a year old, I usually do use more of them since I know they lose a little of their power. I hope this helps. I put my hops in the freezer and they keep their properties for a year or more. Used this hops for my oatmeal Stout recipe. I was reluctant to use piney hops because I had the idea that Best IPA most end on citrus or floral flavor but Northern Brewer hop has a real hop taste and it gaves a traditional piney IPA taste. Love it. Used 2.5 ounces in a lager experiment that turned out great. will definitely order this again. Used this is an attempted anchor steam clone. Good results and would buy again for German recipes.